We can never deny the fact that the local mobile industry is getting a bigger traction. In line with this, the demand for a reliable and efficient data plans also increases. More subscribers now consider connectivity as a necessity. And with us being a “mobile country”, we depend on our smartphones and tablets to connect to the internet. Understanding these needs, Globe recently introduced GoSURF, its latest consumable mobile internet plan which offers customers megabytes (MB) of data used to access the Internet. To date, over 90% of Globe customers now opt for GoSURF to access the World Wide Web. Globe follows the lead of international telco giants like Verizon that have recently started pushing for their tiered plans to encourage especially those still on an unlimited data plan to shift for a better online experience. "We are glad that Globe has spearheaded this shift in consumer preference, driving consumable data plans that aim to provide a more wonderful mobile service experience incomparable to previous offers that are still subject to the Fair Use Policy (FUP). The GoSURF data plans offer a wide range of consumable data plan, for as low as P10 for 10 MB to as high as P2499 for 15 GB," shares Globe Chief Operating Advisor Peter Bithos. Compared to previous Globe surfing promos, GoSURF is not subject to FUP, where a customer's mobile browsing experience is affected when data usage goes beyond the allocation. With GoSURF, a customer is allowed to use up the purchased amount of data without being switched to slower speeds. GoSURF, customers only pay for the data they consume, whatever their online activity may be. From sending important emails to updating social networking sites, one is only charged through the MBs used. GoSURF plans also come with an anti-bill shock guarantee to ensure customers of a worry free surfing experience, protected from excessive data charges. 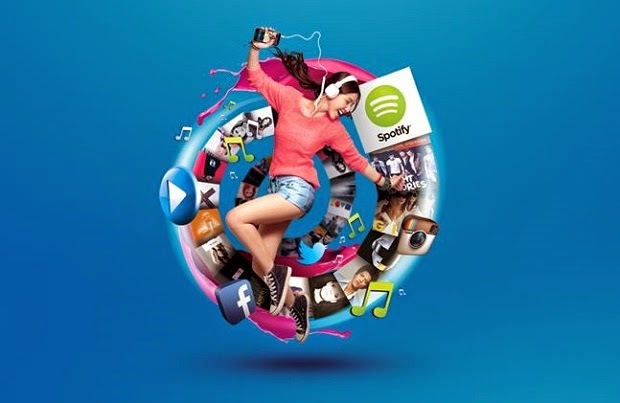 Aside from providing a reliable data connection, GoSURF subscribers also get free access to top notch content such as Spotify for 6 months. Globe forged a partnership with the leading music streaming service to provide customers free access to over 30 Million songs without consuming their GoSURF data allocation.